We propose the supply of pre-shredders of various waste. 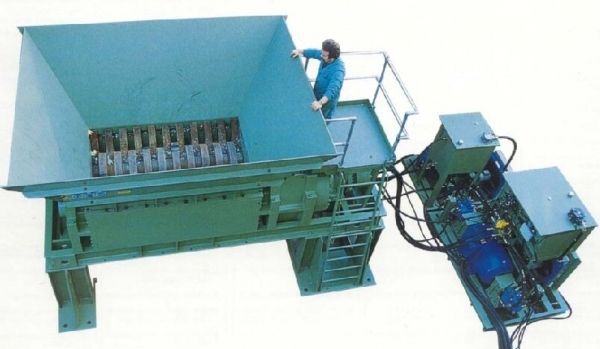 Two-shaft shredder, the smallest with power from 11 kW, will be prepared to the needs of the customer. Their destiny is to reduce the size of waste. They are used to grind plastics in the form of plasters, containers, drums, cables and wires, paper clippings, foil and paper bales and pressed bottles, wooden pallets, cans, refrigerators and other household appliances, electronic waste (computers, etc. ); Other such as car and agricultural tires, mattresses, car seat footwear, whole car bodies. Shredded waste can be designed for granulation on small grinders or further transported in big bags or crates. Italian production machines. In your inquiry please describe the type and amount of waste. We invite you to cooperate.